Every week we host a radio show on Rwanda’s Umucyo community radio about an aspect of peacebuilding. Over the past six months we’ve been focusing on two unrelated but critical areas. The one is the role of religion in building peace and the other is the UN’s sustainable development goals. According to statistics, Rwandans are a religious people, with 93% of the population claiming to be Christian. 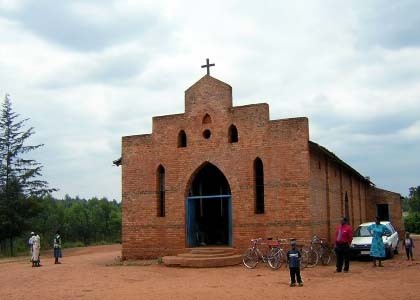 Religious institutions have played an important role in healing the wounds of the past, social reintegration in a postgenocide context and educating communities for sustainable peace in Rwanda. However, religious leaders are not always open to criticism, or the reminder of the involvement of some leaders in perpetrating genocide related crimes. Because of the dark past, religious institutions in Rwanda are compelled to invest in healing and rebuild the trust that was broken during the genocide. Through the discussion on our radio show, we encourage religious leaders to plan and implement peace education programmes for their members and the communities they find themselves in. Another key topic on our radio show has been the UN’s 16th sustainable development goal which is to promote peaceful and inclusive societies for sustainable development, provide access to justice for all, and build effective, accountable and inclusive institutions at all levels. During the period surrounding the International Day of Peace in September, we took the opportunity to critically analyse this UN goal, its targets and its indicators. Although many are sceptical about the practical implementation of this goal, we commend the acknowledgement that efforts for sustainable development and positive peace are interlinked.